It is quite interesting that with today’s technological sophistication, people are still dying of starvation. We’ve sent a few rovers to Mars; own phones that fit in our pocket and can send information across the world instantaneously with what we deemed the internet. Yet, we can’t seem to ensure that all of us are getting food and water or even lifesaving medical supplies. Charities already team together to help garner supplies meant for these needy souls. But, in spite of their logistical prowess, they have a few hurdles before the world can be fed. One of the biggest is transportation. It is not hard for someone in California, for example, to say they have an extra glass of water. But to get that water to Kenya it has to be packaged and shipped. 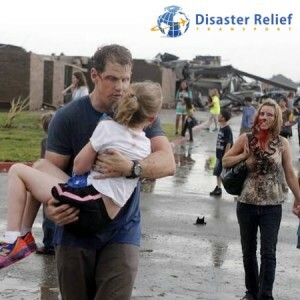 Disaster Relief Transport sits at the center of this problem, having the responsibility and the ability to transport supplies around the globe, just another cog in the wheel that will eventually lead food to the mouths of hungry children and medical supplies to those in need. Every dollar donated by caring individuals goes to maintaining that transport line, and help ensure we get one step closer to our goal.